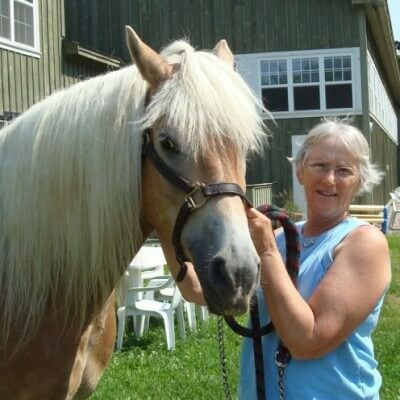 Our horse trainer, Elsie, has been working professionally with horses since 1971 and has been with Lovelane since its founding in 1988. Debby started teaching lessons to a small handful of students on two of Elsie’s horses, Jed and Echo, at the program’s original location on Love Lane. Since then, Elsie has been an integral part of training Lovelane’s horses and volunteers. She enjoys working closely with volunteers, staff, and students because she loves that Lovelane is a win-win for all! Before working with Lovelane, Elsie ran a Morgan training barn. Elsie’s distinguished career includes, among other accomplishments, training the winning horse of the 1991 Grand National Championship in carriage driving. Elsie graduated from Syracuse University with an art degree.